Home / News / Politics / Sereno is ousted, Morales to retire in July, who else is there to cover up Aquino? Sereno is ousted, Morales to retire in July, who else is there to cover up Aquino? It looks like former President Benigno Simeon “Noynoy” Aquino’s vanguard is down, the people responsible for his protection against possible lawsuits that will definitely land him in jail have been constitutionally dismissed, experiencing a decline in public favor or is simply going to retire. This being said who else will defend the all-so-clean innocent Aquino? Well folks let’s hope to God that this man pays for his sins since his holy trinity can’t protect him anymore. 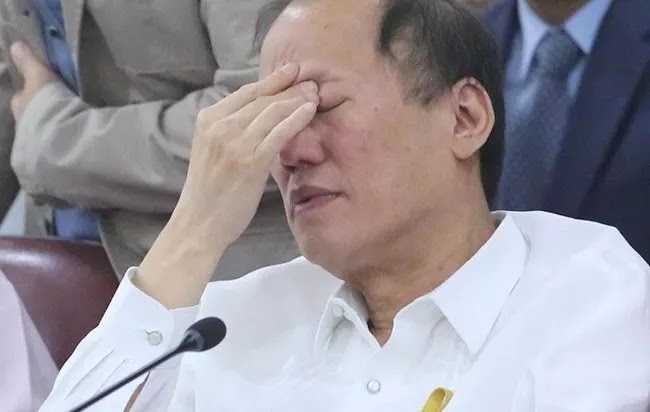 Aquino now has to face the consequences of the Priority Development Assitance Program, the Disbursement Acceleration Program, the Mamasapano Massacre, the Dengvaxia vaccine and a long list of other cases which will surely bring him to rot behind bars. Sadly two of these are count on CORRUPTION and the other two being counts HOMICIDE with one leading to the deaths of CHILDREN. I can’t succumb to stay sane with the thought that if it were my actions that lead to the deaths of hundreds or maybe thousands. Yet Aquino has strategically put people-in-charge that will keep this madman out in the open. Sad for him yet luckily for us, Robredo is going through some issues of her own. She was envisioned to surpass President Rodrigo Roa Duterte as the President herself. One that can surely have Aquino off any Warrant of Arrest with the power that she would’ve held but the simple electoral protests of former Senator Ferdinand “Bongbong” Marcos Jr. made, which people once found as a nuisance, is now paying off. After two years since he protested has he made such important discoveries that may discredit Robredo’s right as the Vice President since electoral fraud is apparently predominant in recent discoveries. Morales on the other hand is going to once and for all, retire. She was once a Supreme Court Associate Justice but retired before Aquino appointed her as Ombudsman. Now she’s about to walk out of the Judiciary free from any worry about corrupt government officials. Another blow for the damned Aquino. Last but not the least, the all-so-politicized ousting of Maria Lourdes Sereno, the former Chief Justice. Thanks to her unlawful appointment and a single word in the Constitution, “may”, Sereno has finally removed from her seat of power by her own Associate Justices. With a vote of 8-6, with Sereno’s side having majority abstain, the Supreme Court has ruled out that Sereno is to be removed. Thank Solicitor General Jose Calida for that by the way for it was due to her negligence in consistently filling Statement of Assets, Liabilities and Net Worth (SALN), lack thereof integrity as Chief Justice and technically being unlawful, was she successfully voted out. It was a close fight to be honest, but contrary to what Sereno’s supporters, in the form of law deans and other legals, believe, the former Chief Justice was successfuly ousted since impeachable officials MAY be impeached. In other words, officials like her, the President and so on, may be removed through impeachment but not solely through impeachment. As the final arbiter of the Constitution and with common sense, simple words such as ‘may’ refer to other possibilities. And if the Constitution did explicitly intend to state that impeachment was the only process, then wouldn’t it be written that impeachable officials “MAY ONLY” be removed from power through impeachment?